In light of the recent release by AMD Ryzen 2nd Generation of Mobile Processors, we take a look at the recent releases by AMD under the first generation of mobile processors, the HP Envy x360 2018. The HP Envy x360 is a light and compact convertible laptop in a very elegant design. 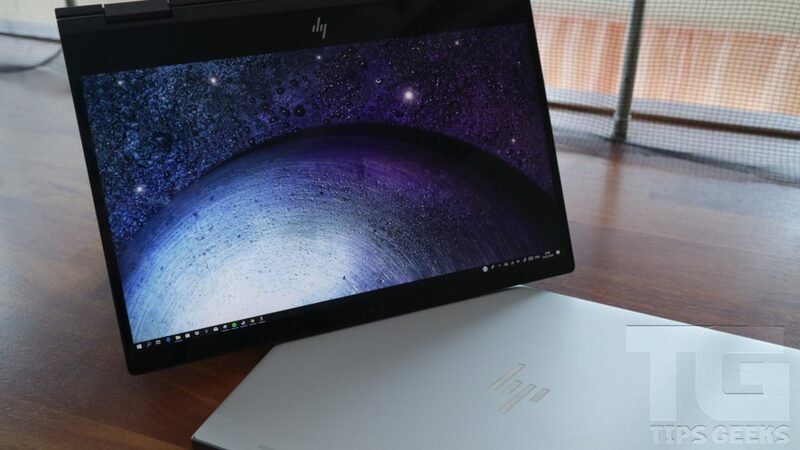 Most laptops nowadays come with Intel processors and Nvidia graphics, the HP Envy x360 is fully equipped with AMD components. The unit we currently have is equipped with AMD’s Ryzen 5 2500u with Vega 8 graphics. We would initially like to commend HP for giving customers more choices in terms of configurations. Offering both Intel and AMD variants. The Envy x360 is easily distinguishable by its colours: Silver (Intel) and Black (AMD). 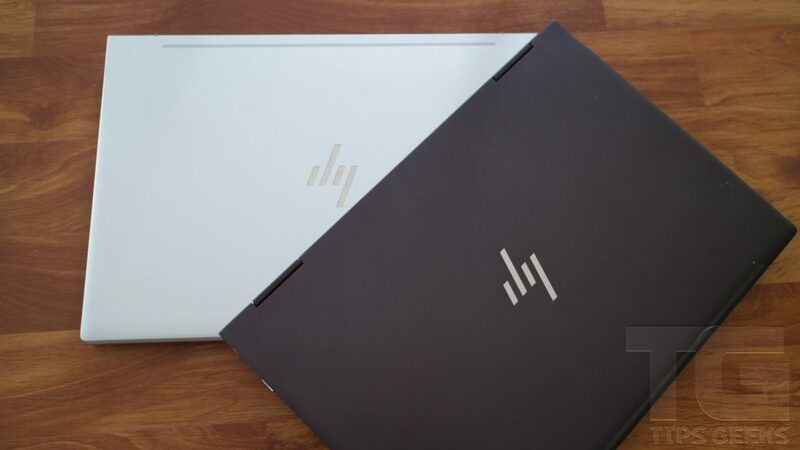 Both feature a sleek design aesthetic that helps HP maintain their mid-to-high end laptops. 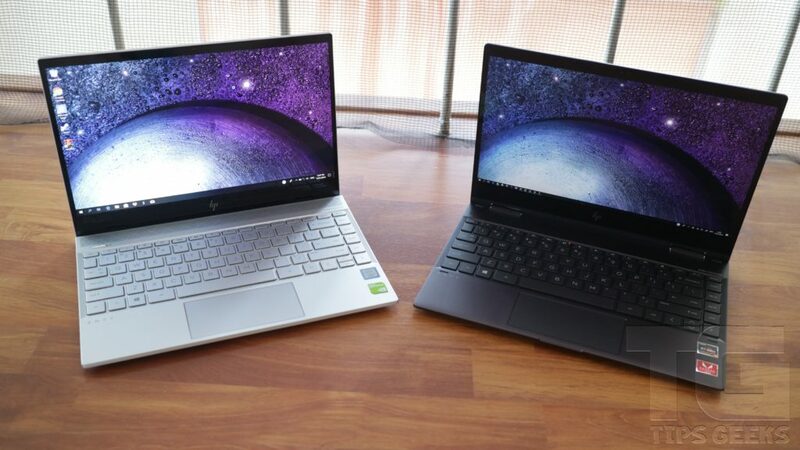 We feel as though the AMD version is more distinct while the silver design on Intel will get lost when placed beside other laptops. The aluminum chassis is very compact with a thin bezel surrounding the 13.3-inch display. Portability is things we liked about the HP Envy x360, weighing only 1.3kg and can be slipped into any decent-sized handbag. It has an easy-to-rotate screen but we found it a bit too loose. When we tapped the screen with our fingers to use the touch functions, it shook at each contact. 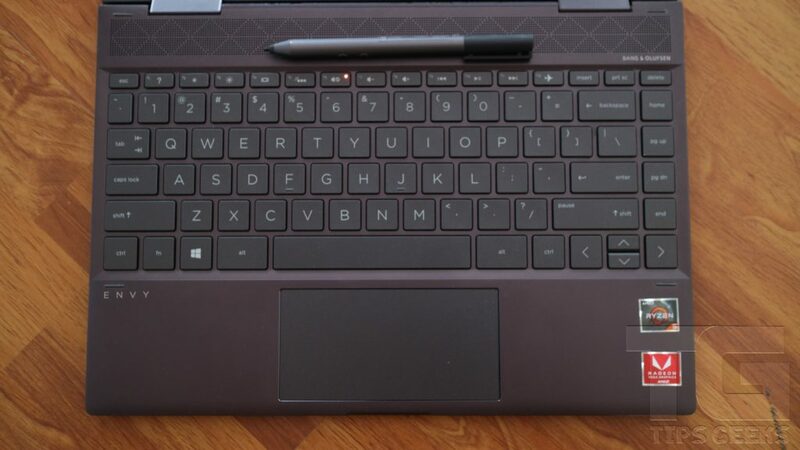 The HP Envy x360’s keyboard gives a sufficient and felt typing experience. The keyboard has a similar feel to the Spectre x360 device. A good point to note is that it won’t work during the tablet mode. This prevents any accidental presses. The 4.7 x 2.3-inch touch pad gave accurate responses during use and provided clicky and speedy recognition of Windows 10’s navigation gestures. Probably not the best choice for those with big hands though as it tends to feel uncomfortable after sometime. HP’s Envy notebooks provide similar performance, sufficient speed for multi-tasking. 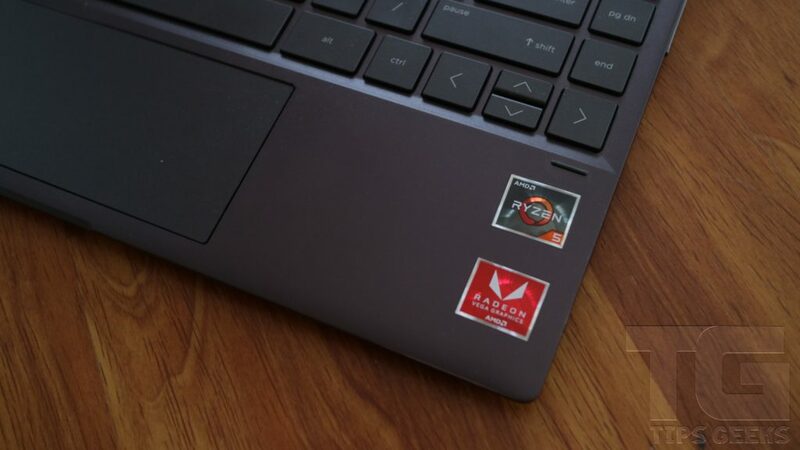 The AMD version of the Envy x360 we tested is equipped with a Ryzen 5 2500U CPU and 8GB of RAM, while the counterpart features an Intel Core i7-8550U with 16GB of RAM. It does the job with daily tasks and with the added 256GB SSD, it was just felt a bit short of what we really needed. 256GB is not enough to store files anymore. Comparing it to the Intel version though, it still performed better in terms of a transfer. Taking 2 minutes and 19 seconds (AMD) and 2 minutes and 49 seconds (Intel) to copy 4.7GB of multimedia files, for rates of 32 megabytes per second (AMD) and 27.7 MBps (Intel). We wouldn’t really recommend gaming on these two PCs though. We did test it out on a little bit of DOTA 2 and Counter Strike : Global Offensive and it managed well between low to mid settings. 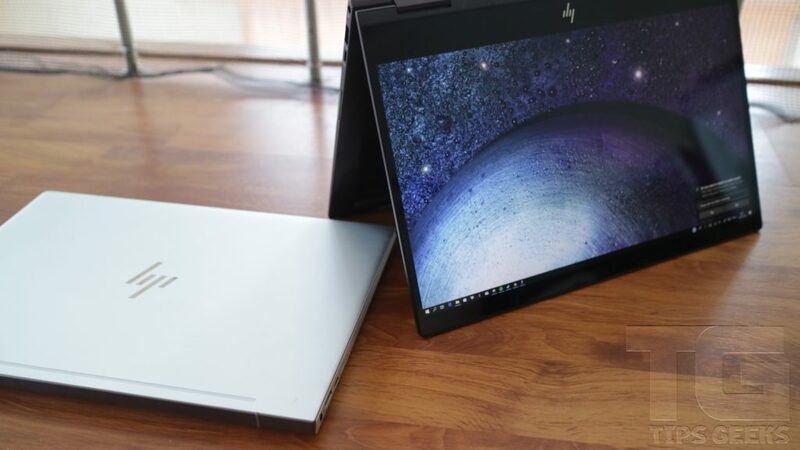 The Ryzen-powered HP Envy offers better aesthetics compared to the Intel variant. They both pack adequate performance for daily tasks in a small chassis. It is a gorgeous showpiece but difficult to readily recommend when it stumbles so often in terms of practicality. The HP Envy x360 is best for those looking for great audio and a sleek design. Unfortunately, it does not fit with those that need vibrant screens and long battery life. One of the great things that HP did on this was give potential buyers more configuration choices by offering an AMD variant. We did find that it fell short of the performance we needed from the laptop at this price range.